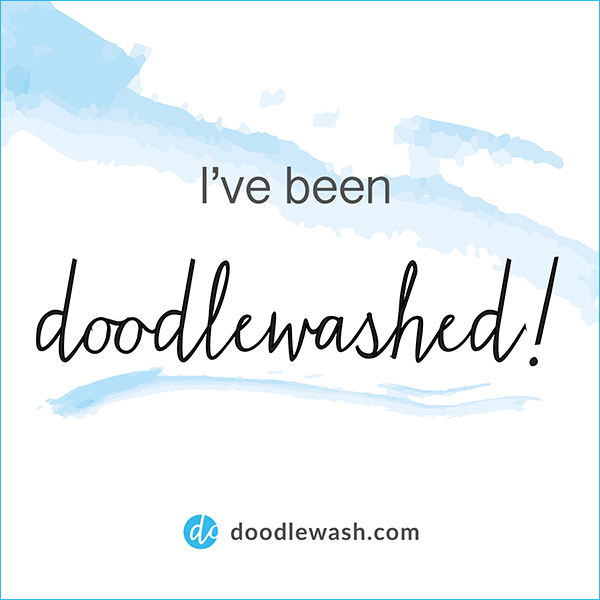 Have you ever had a travel situation that you were completely not prepared for… but you thought you were? The first time I walked the Sentiero Azzurro in 2006, I made sure I was outfitted with good hiking shoes, supplies and water, zip-off pant/shorts, my camera, and a good hat. I was ready. However, our walking group was in for a shock when we waited for a quick train to the furthest town south to start our 6 hour walk, and had to wait for 2 trains before we could barely squeeze onto the third. It only hit me while on the train that it was May 1 – a national holiday in Italy! We hadn’t accounted for the thousands of local day-trippers from all over the region joining us on our walk! We got off the train at Riomaggiore with everyone else, and took baby steps up to the start of the trail. On the first leg of the path, the Via dell’Amore, we walked in one big human herd behind large families with endless toddlers and baby carriages (big ones, not little strollers), women teetering in high heels, and senior citizens with rolling walkers. The path is mostly even but there are some stairs and rocky trail spots. This Path of Love was turning out to be the Date From Hell for these folks who were not prepared for this “walk” that at times is a “hike”. There was some high drama on that trail – voices raised, children wailing, huffing and puffing! 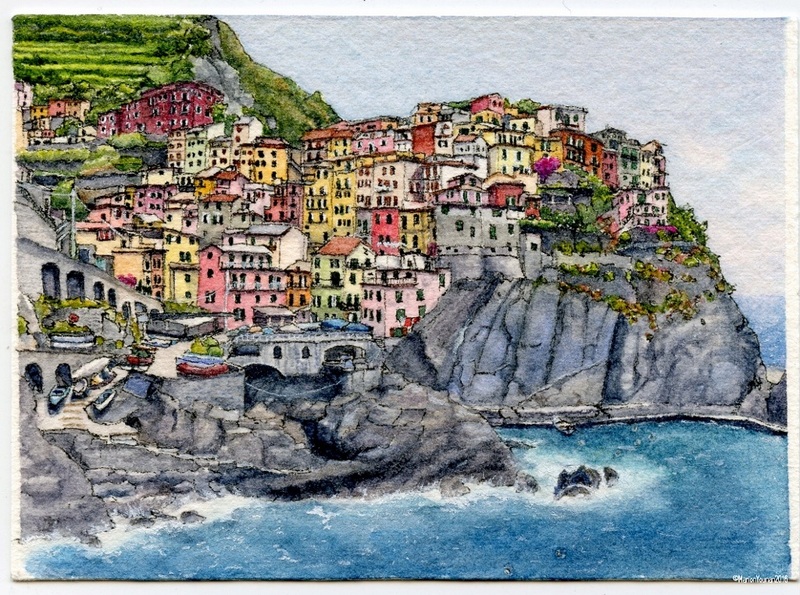 Many people turned around, but most struggled on courageously until they reached the next town, Manarola. When we got back onto the next leg of the trail, we were almost alone! Guess the restaurants of Manarola or the train station beckoned to the tired crowds, and we were able to walk at our own pace on the rest of the trails. From up on the trail, Manarola looked so peaceful and charming – not at all showing the crazy hive of activity buzzing on its interior streets! I took dozens of photos of this particular vista, and this latest Mini piece is created from one of them. Travel Preparedness Tip: Avoid the Sentiero Azzurro on May 1 if you can! And maybe schedule your trip to the Cinque Terre well before or after that time… if you’d don’t enjoy jam-packed towns, trains and ferries. 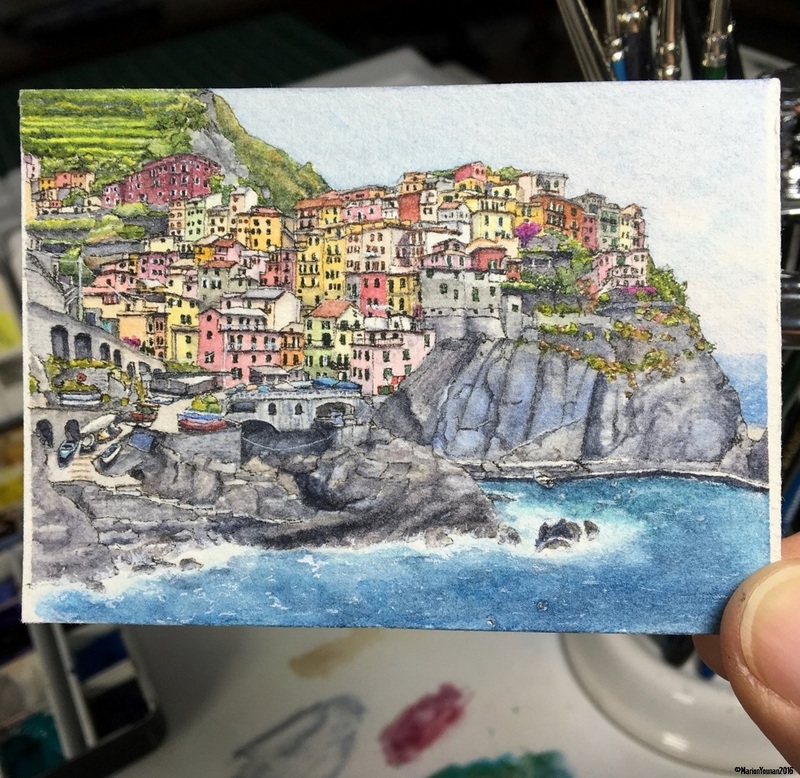 My three Cinque Terre village Mini’s are done! I find this peaceful to view. Happy it produced this feeling with you, Matt! I sooo want to go there. I will one day soon. Beautiful paintings! Thanks again, Jade! A terrific place to add to your “must-see” list!